Tarek Osman : Fifty years after the Six-Day War, which marked the beginning of Israel’s occupation of East Jerusalem and the West Bank, the Middle East remains a region in seemingly perpetual crisis. So it is no surprise that, when addressing the region, politicians, diplomats, and the donor and humanitarian community typically focus on the here and now. Yet, if we are ever to break the modern Middle East’s cycle of crises, we must not lose sight of the future. And, already, four trends are brewing a new set of problems for the coming decade. The first trend affects the Levant. The post-Ottoman order that emerged a century ago — an order based on secular Arab nationalism — has already crumbled. The two states that gave weight to this system, Iraq and Syria, have lost their central authority, and will remain politically fragmented and socially polarized for at least a generation. The Middle East is certain to face the continued movement of large numbers of people, first to the region’s calmer areas and, in many cases, beyond — primarily to Europe. The region is also likely to face intensifying contests over national identities as well, and perhaps even the redrawing of borders — processes that will trigger further confrontations. The second major trend affects North Africa. 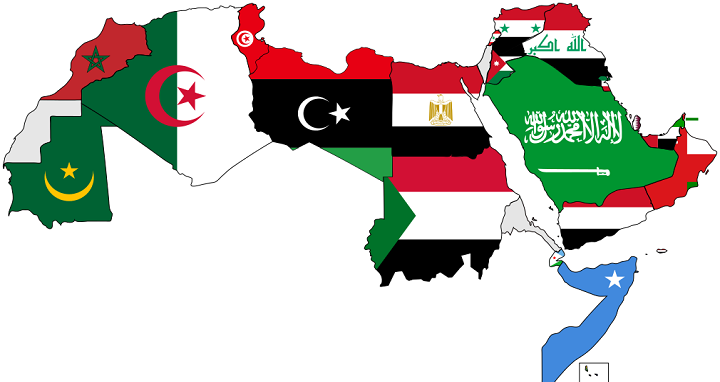 The region’s most populous states — Algeria, Egypt and Morocco — will maintain the social and political orders that have become entrenched over the last six decades of their post-colonial history. The ruling structures in these countries enjoy broad popular consent, as well as support from influential institutions, such as labor and farmers’ unions. They also have effective levers of coercion that serve as backstops for relative stability. The sectors best equipped to absorb these young Arabs are tourism, construction, and agriculture. But a flourishing tourism sector is not in the cards — not least because of the resurgence of militant Islamism, which will leave North Africa exposed to the risk of terror attacks for years to come. Moreover, a declining share of the European food market and diminished investments in real estate undermine the capacity of agriculture and construction to absorb young workers. The likely consequences of North Africa’s youth bulge are thus renewed social unrest and potentially sizable migration flows to Europe. But — and herein lies the third key trend — the Gulf economies are now undergoing an upgrade, ascending various industrial value chains. This reduces their dependence on low-skill foreign workers. In the coming years, the Gulf countries can be expected to import fewer workers from the rest of the Arab world, and to export less capital to it. The West must not succumb to illusions about redrawing borders or shaping new countries; such efforts will yield only disaster. One highly promising option would be to create a full-on Marshall Plan for the Arab world. But, in this era of austerity, many Western countries lack the resources, much less public support, for such an effort — most of the Arab world today could not make the most of it in any case. What leaders — both within and outside the region — can do is pursue large-scale and intelligent investments in primary and secondary education, small and medium-size businesses (which form the backbone of Arab economies), and renewable energy sources (which could underpin the upgrading of regional value chains). Pursuing this agenda will not stem the dissolution of the modern Arab state in the Levant. It will not generate workable social contracts in North Africa. And it certainly will not reconcile the sacred with the secular. But, by attempting to address young people’s socioeconomic frustrations, it can mitigate many of the longer-term consequences of these trends.